John. 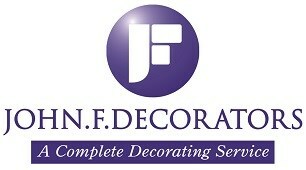 F. Decorators - Painter/Decorator based in Rayleigh, Essex. I am a fully skilled, City & Guilds (Advanced Levels) Painter and Decorator based in Essex and dedicate myself to delivering you a service to the ultimate professional standard. From the smallest cupboard to your whole house, inside and out, my aim is to make sure you know and feel that you have received a 1st class painting and decorating service. John. F. Decorators has a wealth of experience and knowledge in customer care and I know that when it comes to your home, respect is of the utmost importance to you, which is why I have enjoyed over 18 successful years of painting & decorating, Paper Hanging & Spray painting, almost all by recommendation. Rayleigh, Southend-on-Sea, Leigh-on-Sea, Chelmsford, Basildon,Essex.